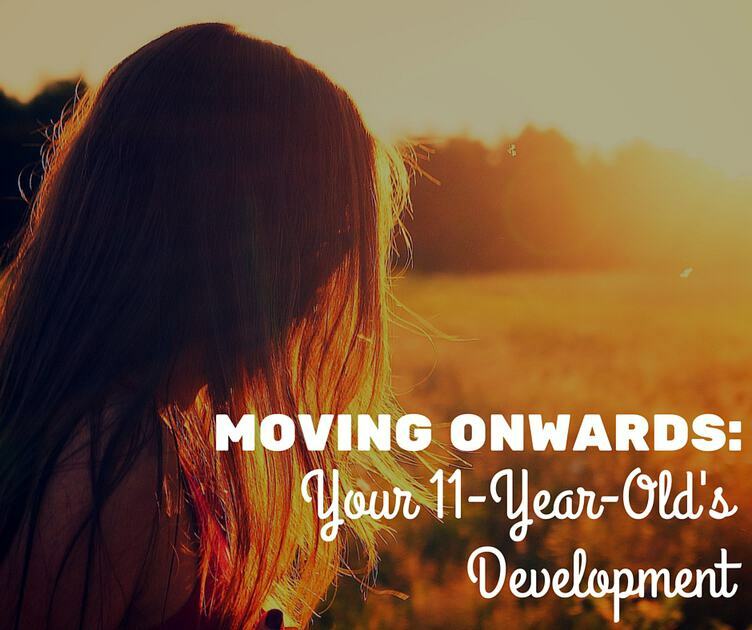 Your daughter is facing some huge changes in her life: a new school, approaching teenhood and a body that’s changing in ways that may feel scary can make life challenging for her. She still needs your support and, though it’s trickier to help her, it’s worth all the effort. Physically, your daughter is fast approaching puberty; she’s becoming more aware of changes in her body and this may lead to problems with self-image or eating disorders. This is one of the fastest periods of growth and she may gain up to 3.5 inches in height as well as starting to develop a more mature body shape. Boys enter puberty in the next 2-3 years. Her cognitive skills are developing apace. She is a more confident speaker and may adapt her speech, including slang and swearing, to fit in with her peers. She’s better at abstract thinking, problem-solving and reasoning hypothetically so you can expect some interesting discussions. Her self-management has improved though you might need to talk to her about issues such as hygiene, homework and risk-taking behavior. It’s likely she’s just moved to a new school and might need support or guidance with the additional academic challenges she’s facing. Her social groups are changing and she’ll want to spend time more time with friends. The acceptance of her peers is important to her. She might be less open and communicative with you. She’s struggling for a level of independence she’s not quite ready to achieve; this can be frustrating for her and can manifest itself as rudeness or bad attitude. She’s realizing that grown-ups aren’t perfect and could become critical of adult behavior. More positively, she may become more interested in community issues and want to help others. Emotionally, this is a turbulent time for your daughter; puberty and body changes can make her feel less confident and lower her self-esteem. She might also be confused by her first experiences of sexual desire. As she forms stronger and more complex relationships, most commonly with other girls, she may find there’s conflict between the pressure to conform to their moral code and the standards she’s carefully formed over time. She may find it difficult to maintain an even temper; anger and rebellion are common at this age. Despite this, she’s better able to understand the other person’s point of view making her more open to reasoned arguments. There are several ways you can support your daughter. Open communication and answering her questions honestly, especially about the way her body and feelings are maturing, will maintain the trust you’ve built over the years. Encouraging her to be proud of her accomplishments and effort and supporting her when things don’t go so well will bolster her confidence and self-esteem. Staying calm during moodiness or emotional outbursts, which often stem from her asserting er independence or expressing her individuality, prevents situations from escalating. Giving her time, space and privacy allows her to sort through her feelings and makes her more likely to confide in you. Socially, you can encourage her to take part in group activities and, by respecting her friendships and meeting her friends’ parents, you can identify and deal with any bad influences before they become a problem. Involving her in family decision-making, giving her set chores and showing an active interest in her education will not only help her develop a sense of responsibility but allow you to reinforce the positive values she needs for later life. Your 11-year-old might seem more interested in what her friends say, but she needs you. You can have a strong relationship that will give her the support and guidance she needs to become the successful adult you want her to be.